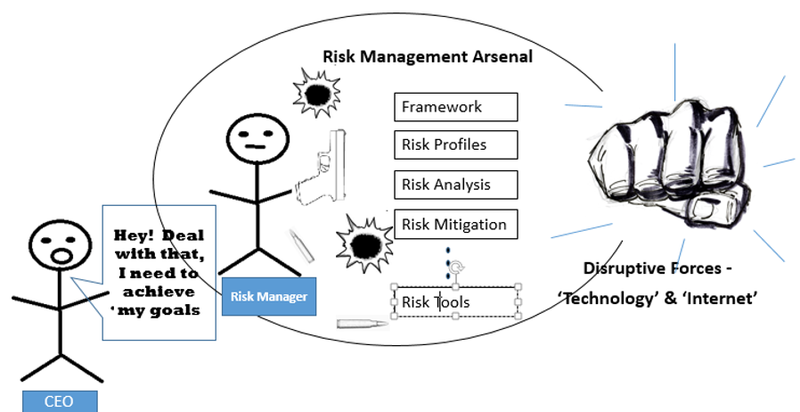 How does risk management stay relevant in a fast-evolving digital world? Any experienced risk management professional would know it best – establishing a risk management framework is no mean feat, particularly if it’s for a ‘one of a kind’ organisation and not guided by a set of prescriptive regulation and standards. 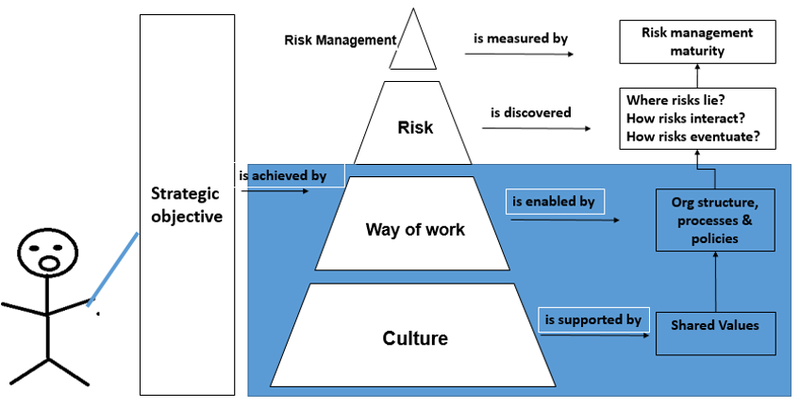 Above all the bells and whistles a risk team can build is one crucial attribute – risk management must stay relevant and add value to the achievement of the organisation’s strategic objectives. Strategic objectives are enabled and influenced by important factors within the organisation itself –processes, projects, resources and culture. Beyond these intrinsic factors, in recent times many companies had to deal with the impacts of the digital revolution as the disruptive forces of ‘Internet’ transcend tech sector and seep into pretty much every industry. Uber for taxi, Netflix for video, Airbnb for hotel, the list goes on. It is obviously a complex question that doesn’t have a simple answer, so let’s peel back to the basics and explore this topic piecemeal. In preparing for the disruption and its impacts, organisations must understand and learn the key factors fuelling the success of many modern successful companies. One thing for sure – simply embracing and adopting new technology only gives temporary reprieve in this fast evolving world. In fact, recent research confirmed that the technology itself only disrupts to certain extent as followers embrace and adapt. It is the innovative business culture that drives constant discovery of new business model and application of technology that is the most disruptive. Literature abounds on why individual or companies succeed, you don’t need to go far to be inundated with business coaches and mentors spruiking ‘how to’ guides. Here, here, here. However, many would agree that ‘agile’ thinking is universally one of the most fundamental ingredients for many success stories. Let’s focus on this topic for now, so what is agile? Evolved from a form of project management methodology and manufacturing, agile and agile thinking are interpreted in countless ways and applied differently. In its very essence, its reciprocal power advocates value adding behaviours, cut development cycles, facilitate informed decisions and drive continuous improvement. In an advanced agile environment, agile thinking would become so pervasive in all aspects of the organisation, defining its culture, the way of work and risks that propel its growth. Typical of a traditional yet progressive company with mostly established processes and linear structure, a great deal of emphasis would be placed over important values such as team work, accountability, efficiency and simplification to support the execution of its strategy. Typically, most manufacturers, banks, telcos, retailer would fit to this category. On the other hand, a tech start-up based on agile principles of being lean and people oriented would focus on more tangible and actionable values such as collaboration, empowerment, fast throughput and continuous value delivery. Team structure and formalised policies would be minimised with virtually no reporting lines and delegated authority. Examples are Spotify, REA, Pivotallabs and many more. Ok, you noticed I haven’t really answered my original question. That’s for another day.